This simple five ingredient recipe for Chicken Tortellini Casserole uses foods that you can easily keep on hand; make this one part of your emergency repertoire. When you're too tired to cook and don't want to fight traffic to go to a drive-through window or even pick up some take-out, you can make this recipe. This recipe can also be changed depending on what you have on hand. Use leftover meatballs, or some leftover grilled salmon or steak. Use a different type of pasta; ravioli, pierogies, or even leftover cooked pasta would be delicious. And you don't have to use the four cheese Alfredo sauce; use a regular Alfredo sauce or leftover white sauce. The whole point of recipes like this is to use what you have in the house. Wasting food is not only bad for your wallet; it's bad for the environment too. Package leftovers carefully and refrigerate them; use within three days. Freeze after that time period has passed. And you can add more ingredients. I would mix the bread crumbs for the topping with a little bit of melted butter or olive oil. Add some sauteed onion and garlic, or add any leftover vegetables. All you need with this recipe is a green salad, or perhaps a fruit salad, a glass of white wine, and a quiet house. Cook the tortellini according to the package directions and drain. 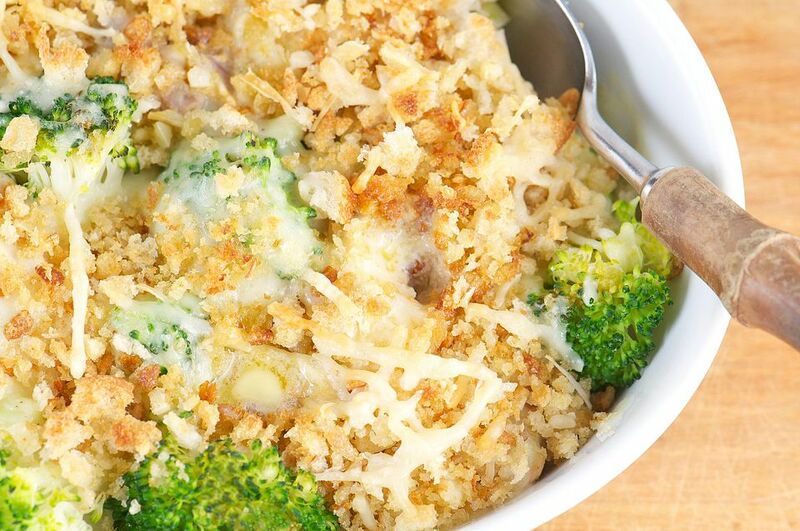 Combine the pasta with the broccoli, sauce, and chicken in a large bowl. Transfer to a 1-1/2 quart casserole dish and top with the bread crumbs. Bake at 350 degrees for 25 to 35 minutes or until the casserole is bubbling and the bread crumbs are browned.